My first cartoon! | Amsterdam, baby! So as mentioned before I get super creative whenever I don´t want to study. 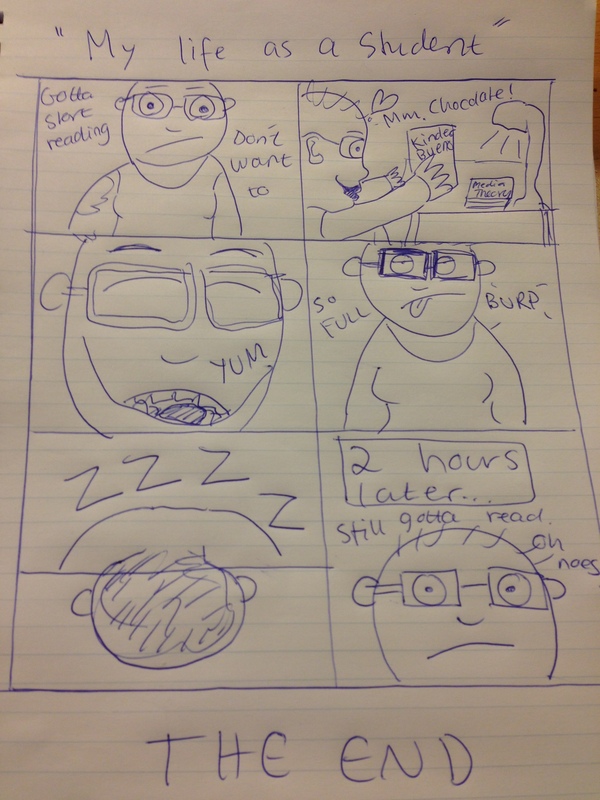 So I made a cartoon about my student life is in general here in Amsterdam. LOL. What do yah guys think? Haha. This entry was posted in Art, cartoons, Does, food, fun, LOL, Media practices, school, yummy stuff and tagged Amsterdam, art, Cartoon, media theory, reading, Study by maypaj. Bookmark the permalink.